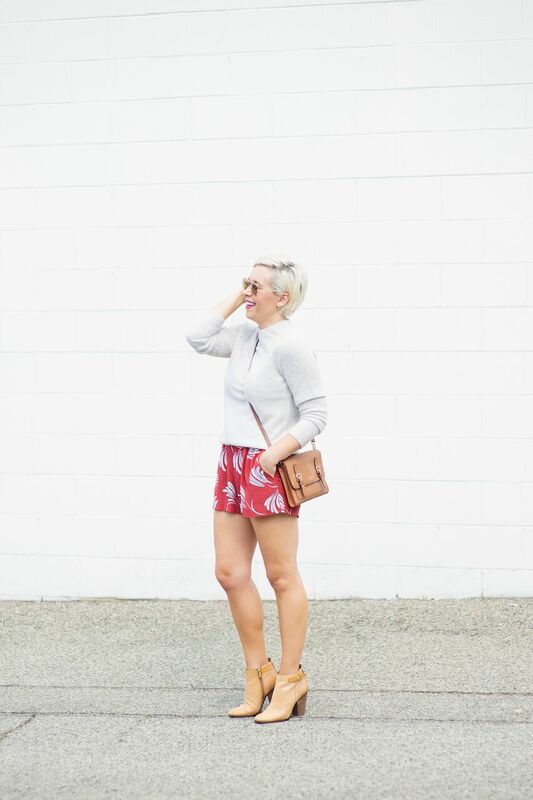 I love a breezy pleated short. I think they can be casual with flats or dressed up with heels and a blazer. I find that a patterned short can be tricky to find what to pair it with. I was on the hunt for a lightweight cashmere sweater that I felt would be the perfect pairing for the business of these rust colored floral shorts. I found a perfect sweater at Nordstrom Rack. It has since gone off sale but I linked it as well as a similar option below if you are on the hunt as well. Nothing feels more luxe in the cooler weather than cashmere.